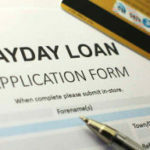 Although payday loans are not the average types of loans to take out, many use them in emergency situations. The fact that they are available makes them a great alternative to typical loans because they are quick and easy to apply for, and funds released to the applicant within 24 hours, upon approval. Even those with bad credit can qualify, so long as they are employed and provide their personal information to the creditor. However, these quick-fix loans do come with high interest rates and charges, which are clearly stipulated in the loan agreement, and that can sometimes lead to consumers having a more difficult time paying them off. More often than not, people who choose these are in a financial bind, and their hands are tied with regards to obtaining traditional loans. So, what can you do to get out of debt? 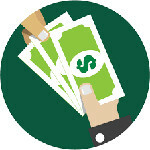 Consolidate all your payday loans! Payday loans and other bills can be consolidated with the steps provided herewith. All the unsecured debt can be pooled together for one payment, rather than several weekly payments. Not only does this save time and frustration, but it makes getting out of debt quicker. First, calculate the outstanding balance of all your unsecured debt. Then, find and contact a consolidation company to help you with any questions you may have. A free debt counseling session will be set up with a debt counselor, who will examine your unique situation accordingly and provide you with your options. The debt counselor will renegotiate the terms, rates, and administration fees with each of the creditors. In doing so, late payment fees can be either reduced or eliminated altogether, but each of the creditors will be repaid, at least for their principal amounts owed. Moreover, the debt counselor will calculate your monthly financial responsibilities to determine what you are capable of paying each month. From there, he or she will also try to renegotiate the terms of repayment with the various creditors, thereby extending them to ensure a good repayment plan that you can afford. There are many benefits to this plan of action, for the consumer, as well as for the creditors. The consumer can breathe easier, and pay down debt quickly, for one. For another, the consumer does not need to worry about making minimum payments that do not count for anything, and in return, find outstanding balances that keep increasing instead of decreasing, as a result of penalties. Moreover, creditors are prohibited from contacting you directly, so it can relieve stress and allow you to go on with your life. For creditors, it ensures they do not lose the amounts they loaned to their clients, as would be the case in a bankruptcy, so they may be more cooperative than most consumers would believe them to be. 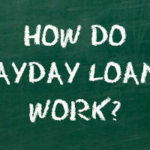 In learning how to consolidate payday loans, you will get your finances in order and sleep easier at night. Although you will be required to repay the amounts owed, the payment will be reduced to what you can afford and still live.